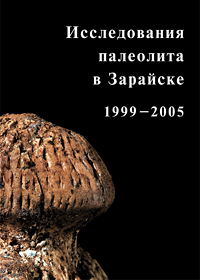 The open-air Upper Palaeolithic site of Zaraysk was discovered in 1980. It is located in the centre of the small Russian town of that name, about 155 km southeast of Moscow. Since 1995, continuous and intensive research has been carried out at the site by the Zaraysk archaeological expedition of the Institute of Archaeology of the Russian Academy of Sciences. 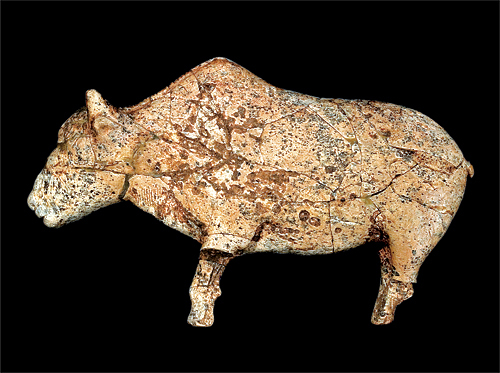 In recent years Zaraysk site became widely known after the discovery of remarkable art objects carved from mammoth ivory, including two female statuettes and a unique bison figurine. To date, a total area of 390 square meters has been excavated in the centre and periphery of the Zaraysk site. However, excavated area constitutes only a small part of the total area of cultural deposits. 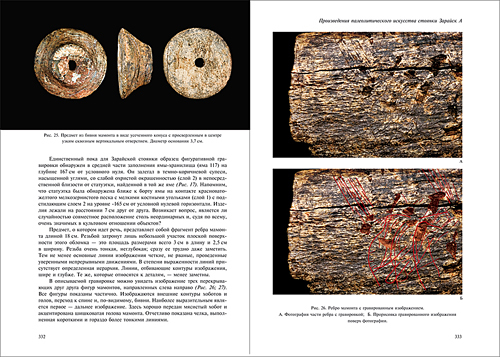 In terms of its stone tool inventory and typology, characteristic cultural features of its occupation layers (e.g., pits, hearths), and the organization of the settlement (at least in the area excavated to date), Zaraysk exhibits a pattern very similar to sites of the Kostenki-Avdeevo culture. Other parallels to the latter can be seen in the inventory of bone artifacts and adornments, and in the ornamental decoration of bone and ivory. 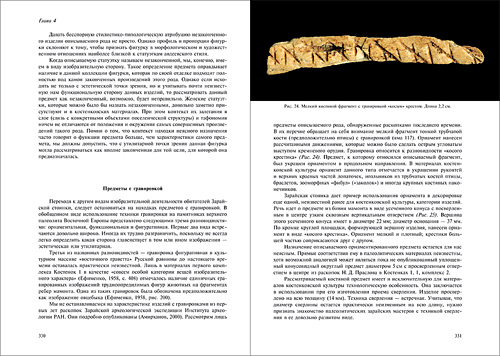 The Introduction and Chapter 1 describe general stratigraphic features of Zaraysk site and in particular — features of the cultural layer III. 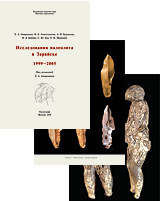 Chapter 2 presents a comprehensive description of the qualitative and quantitative characteristics of the lithic assemblage, including all material recovered from the initial discovery of the site (27 years ago) through the year 2000 inclusive (at present more than 100,000 stone artifacts have been recovered from the site). 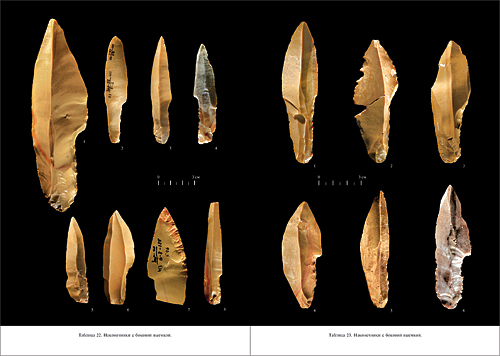 Formal typological classification of the tools and debris is given, along with a detailed description and statistical analysis of the assemblage. Special attention is paid to typological and statistical comparison of Zaraysk lithic assemblage to that of Kostenki 1, 1 and Avdeevo. 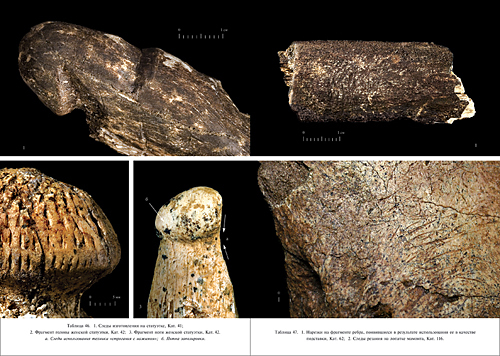 Chapter 3 describes bone working techniques and provides complete catalogue of worked bone objects recovered from the site. Chapter 4 is devoted to the detailed description and analysis of art objects. The archaeological context in which they were found as well as some of their peculiarities (such as the use of red ohre and intentional damage of objects) shed light on the role of these objects in ritual ceremonies of palaeolithic hunters. 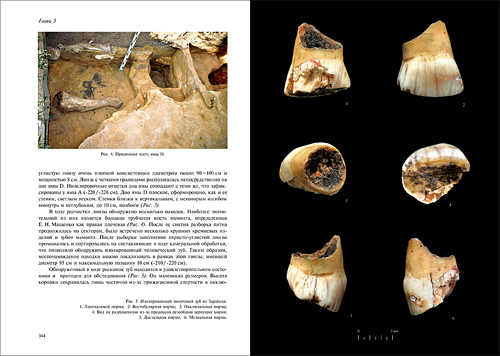 The analysis of isolated human tooth found at the base of a large pit of the second cultural level (23,000–20,000 years BP) is given in chapter 5. 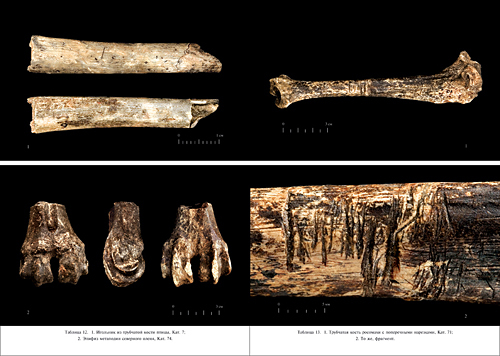 Chapter 6 presents the results of zooarchaeological, taphonomic, morphological and stable-izotope analyses of the mammalian remains from each cultural layer of the site. The final chapter is devoted to the problems of ecology and biology of Woolly Mammoth and long-debated question of whether the mammoth hunting was widespread in palaeolithic communities. The book is supplemented with the detailed English summary and complete English list of illustrations. Chapter 2, Plates 22, 23 (pages 176, 177). Shouldered points. Chapter 3, Plates 12, 13 (pages 252, 253). Plate 12. 1. “Needle cases” made of a bird tubular bone, Cat. No. 7; 2. Metapodial epiphysis of a Reindeer, Cat. No. 74. Plate 13. 1. Tubular bone of a glutton with the transversal cuttings, Cat. No. 71; 2. Ditto, detail. Chapter 3, Plates 24, 25 (pages 264, 265). Plate 24. 1. Perforated tooth root, Cat. No. 104; 2. Fragment of a tooth broken along previously cut groove, Cat. No. 94. Plate 25. 1. Polished edges of broken tooth, Cat. No. 101; 2. Tooth broken along the groove, Cat. No. 98. Chapter 3, Plates 46, 47 (pages 286, 287). Plate 46. 1. Traces of working on the female figurine, Cat. No. 41. 2. Detail of the head of the female figurine, Cat. No. 42; 3. Detail of the leg of the female figurine, Cat. No. 42. a. Traces of pressure-planing; b. Traces of polishing. Plate 47. 1. Cut marks on a rib fragment used as a support, Cat. No. 62; 2. Cut marks on the mammoth shoulder-blade, Cat. No. 116. Chapter 4, Fig. 10 (page 306, loose-leaf 1). 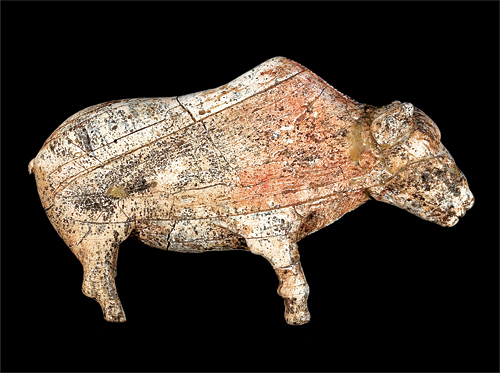 Figurine of a bison made of mammoth ivory. Length: 16.4 cm. Chapter 4, Fig. 10 (page 306, loose-leaf 2). Figurine of a bison made of mammoth ivory. Length: 16.4 cm. Chapter 4, Fig. 13 (pages 318, 319). 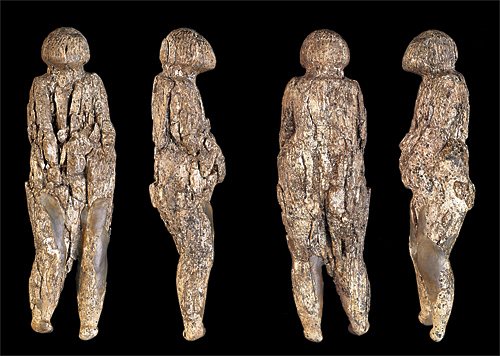 Female figurine made of mammoth ivory from the pit 116. Height: 16.6 cm. Chapter 4, Fig. 25 (page 332). The object made of mammoth ivory in the shape of a truncated cone with a narrow, vertical perforation through the centre. The diameter is 22 mm at the top and 37 mm at the base. Chapter 4, Fig. 26 (page. 333). Mammoth rib with incised figurative pattern. (A) Photo of a fragment with engraving; (B) Interpretation of the engraving. Chapter 5, Fig. 4 (page 344). Bottom part of the pit D. Chaper 5, Fig. 5 (page 345). 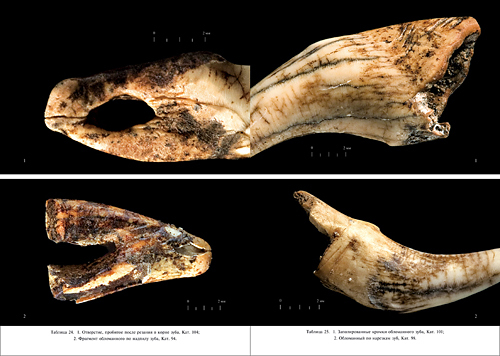 The isolated deciduous tooth from Zaraysk site. 1. Lingual surface; 2. Labial surface; 3. Occlussal surface; 4. Top of tooth root after processes of resorption; 5. Distal surface; 6. Mesial surface. Chapter 3 (pages 187–193), Plates 12, 13. Antiquity Journal, Volume 084, Issue 324. June 2010. Pages 576–577.